Yandex has introduced its own answer to Foursquare, providing people with another way of locating services. 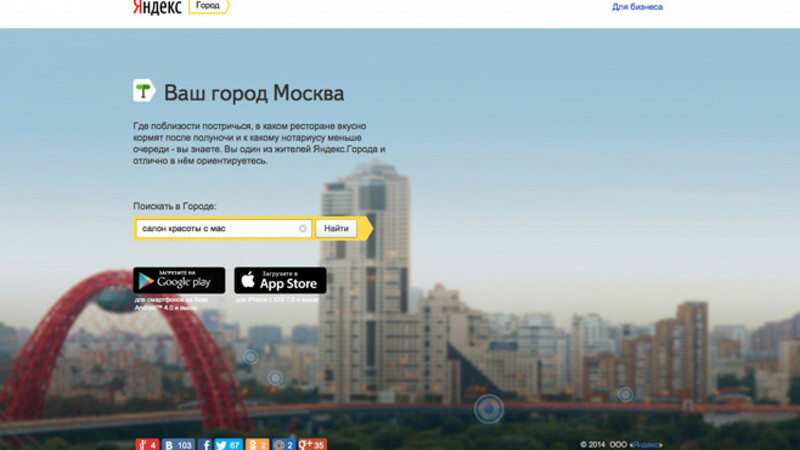 Russian search engine Yandex on Wednesday released a new Russia-focused social networking application, Yandex.Gorod, which promises to help its users find popular venues and attractions throughout Russia by providing user reviews and locations of nearby bars, banyas and even cash machines — all necessities for daily life in Moscow. 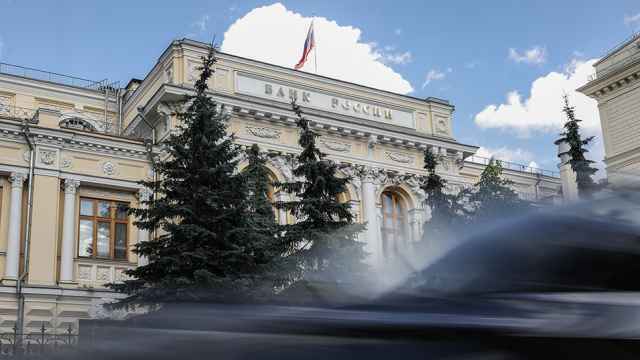 "When we need to choose an establishment, we usually ask our friends for advice, but they cannot always help simply because of a lack of experience," Cyril Votyakov, head of the Yandex.Gorod project was quoted as saying in the press release announcing the launch. The new service fills your social network's experience gap void by aggregating "the experience of many," he said. The app is available now on Android and iOS and can be downloaded in English or in Russian, as Yandex.City or Яндекс.Город. The Moscow Times downloaded the iOS version of the app, and was taken with its easy-to-use interface. Popular services in the user's vicinity are grouped on the mobile app for on-the-fly searches, making the app a practical social tool for spontaneous urban outings. Yandex, already the most popular search engine in Russia — commanding 62 percent of the market, compared to Google's 27 percent — says it has leveraged its own databases and those of its 70 partner sites to create Russia's largest clearinghouse for user reviews. Companies and services looking to be listed by Yandex.Gorod are free to register themselves with Yandex's larger database, allowing business owners not only to have their organizations listed on the new app, but in Yandex search results and on Yandex's map service. The service profile sounds eerily close to the plans of state-owned search engine Sputnik, which launched its first version last month and aims to grab market share by offering better local information than its rivals, helping users find day-to-day essentials and services. A week after its appearance, Sputnik boasted a .01 percent share of Russian searches, and Yandex.Gorod's arrival may dampen its chances of growing. Votyakov said that additional features will be added to Yandex.Gorod, such as booking reservations at restaurants or scheduling a haircut. These services are already available in Moscow and St. Petersburg through the web version of the service, but not the mobile app. Yandex spokesperson Asya Melkumova was quoted by Vedomosti as saying that Yandex will add a check-in feature later on down the line — a popular aspect of Foursquare, location-based social networking app that Yandex.Gorod resembles in many ways — and that the company is looking into doing this with other partners.